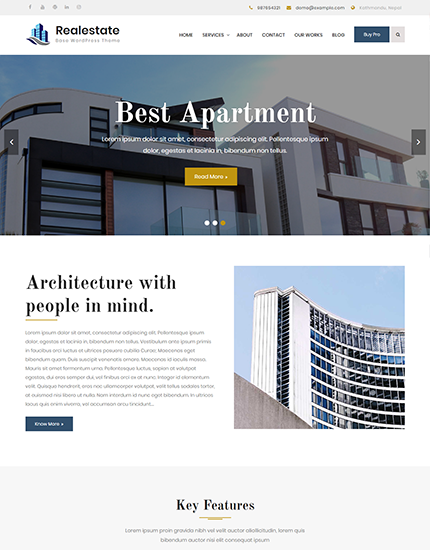 Realestate Base Pro is a clean and beautiful real estate WordPress theme. 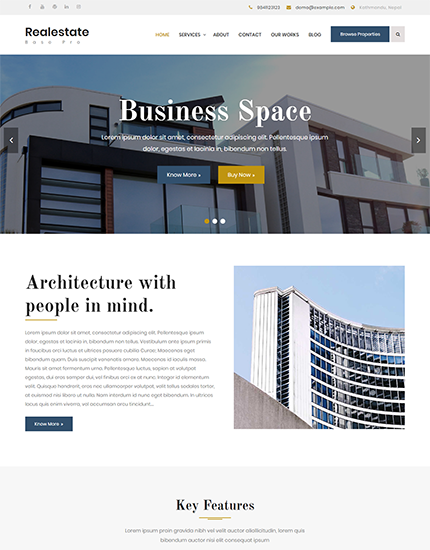 It is a flexible theme suitable for real estate agency, agents, builders, interior designers, architects, brokers and also useful for blog, business, corporate or portfolios website. It comes with powerful theme options and custom widgets which make customization easy and intuitive. In a matter of minutes, it helps your to set you up with sophisticated custom websites. Regardless of your previous development or coding experience, it delivers sharp, polished results. As this theme is responsive, it looks great on all size devices ranging from small phones to large monitors.